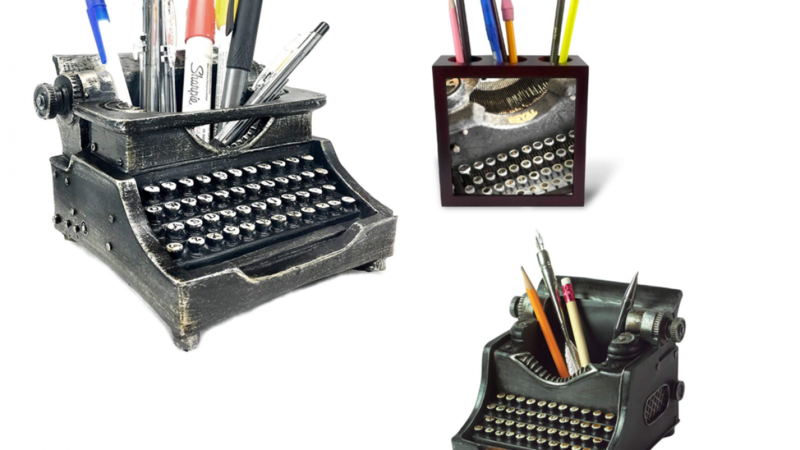 Typewriter Pencil Holders for and Old School Look are perfect for any industrial or vintage style office. There are also designs that are more modern and feature brighter colors. You are sure to appreciate having such an interesting item on your desk. 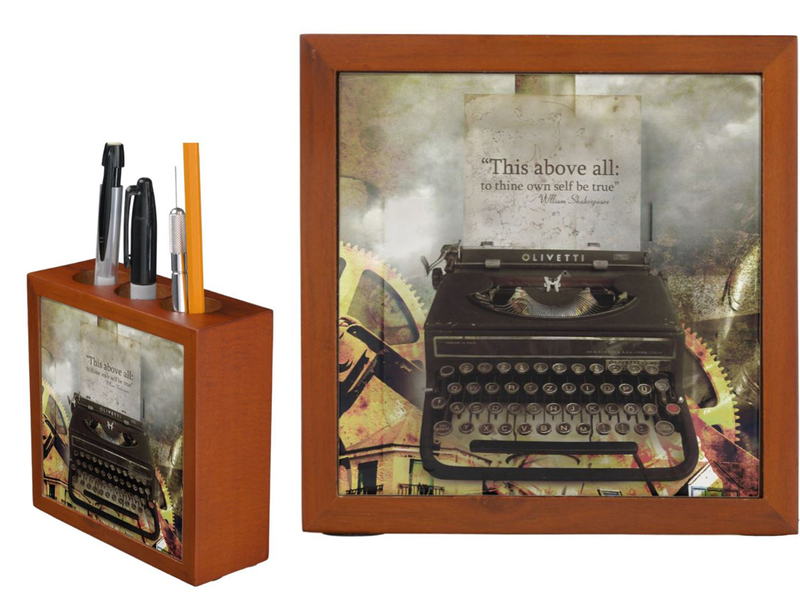 A great gift idea to inspire students, office workers or to decorate a home office. Use one of these alone to add a cool accent to a neutral office or decorate you entire space with cool matching items. Many of these feature neutral colors so they will suit almost any existing office decor that you might have. 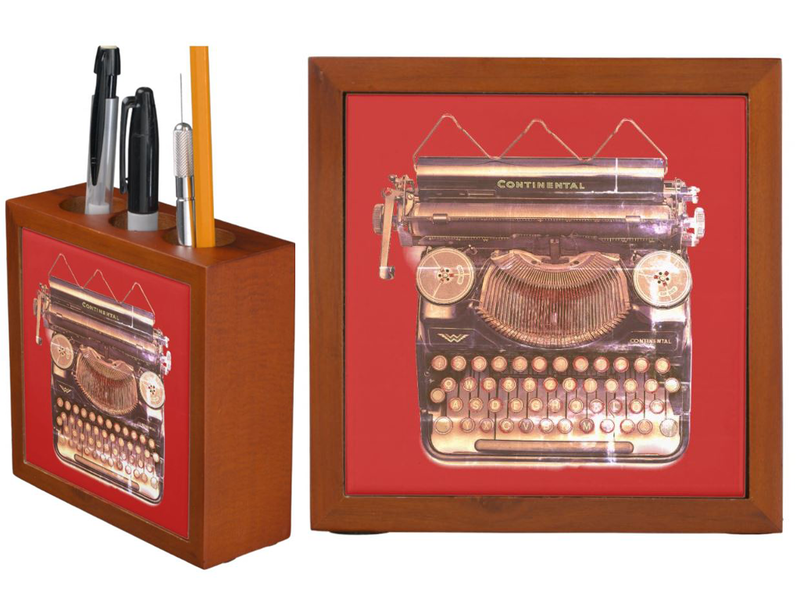 If you know someone who is a writer a typewriter office accessory is a very cool gift idea. We all need somewhere to put our pens and pencils so it is sure to be used. 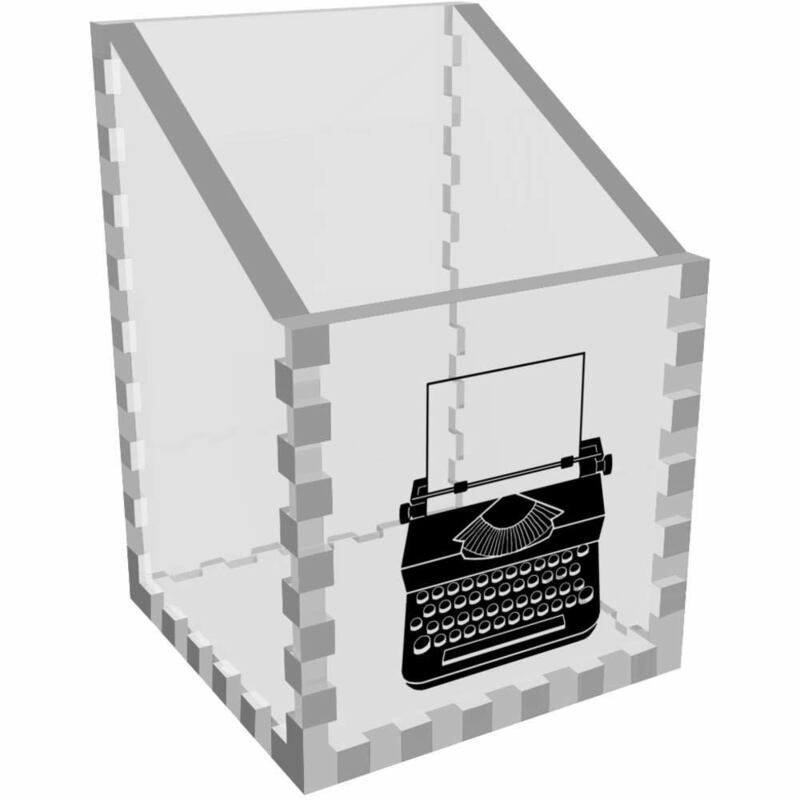 You can use these to store many different things because they are so handy. Store things such as makeup brushes, paint brushes or cotton buds. You can find a use for one in any room of your house that suits. If you are someone who grows succulents some of these would look lovely holding a small plant in your office. 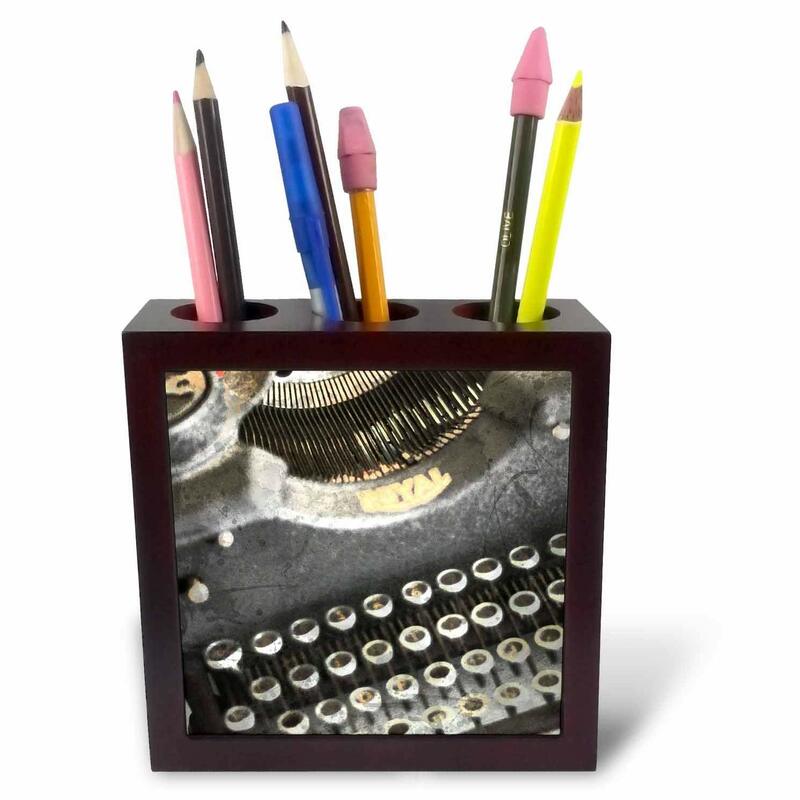 This fun pencil/pen holder measures 5 x 5 x 5 inches. 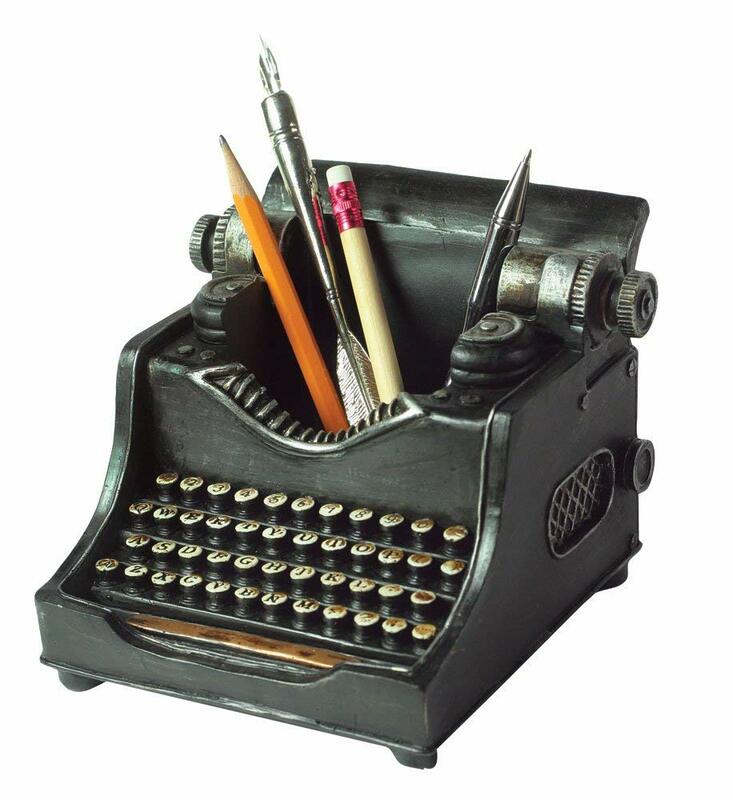 It will not take up too much space but is big enough to keep your writing implements handy. You will love this one because it will add some character to your office. 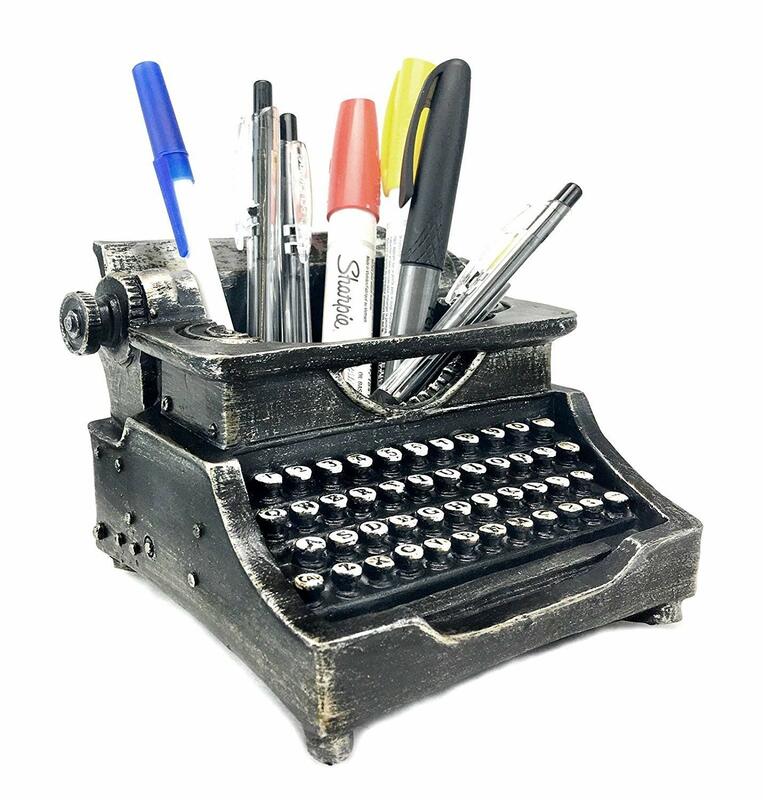 This typewriter desk organizer is made of high quality cold cast resin. You will love the way it looks because the vintage finish is very eye catching. It will look great in an office decorated in a vintage style or in a modern office. Store any small items in this cute holder. It stands 90mm tall and the base measures 54 x 54mm. This one is solid because it is made from laser cut mdf. So if you need something that will withstand some rough treatment this is a good choice. If you like to be able to see exactly what is inside your container this clear pencil holder will help. It is made of laser cut acrylic and is very easy to clean. A great item for a modern office. 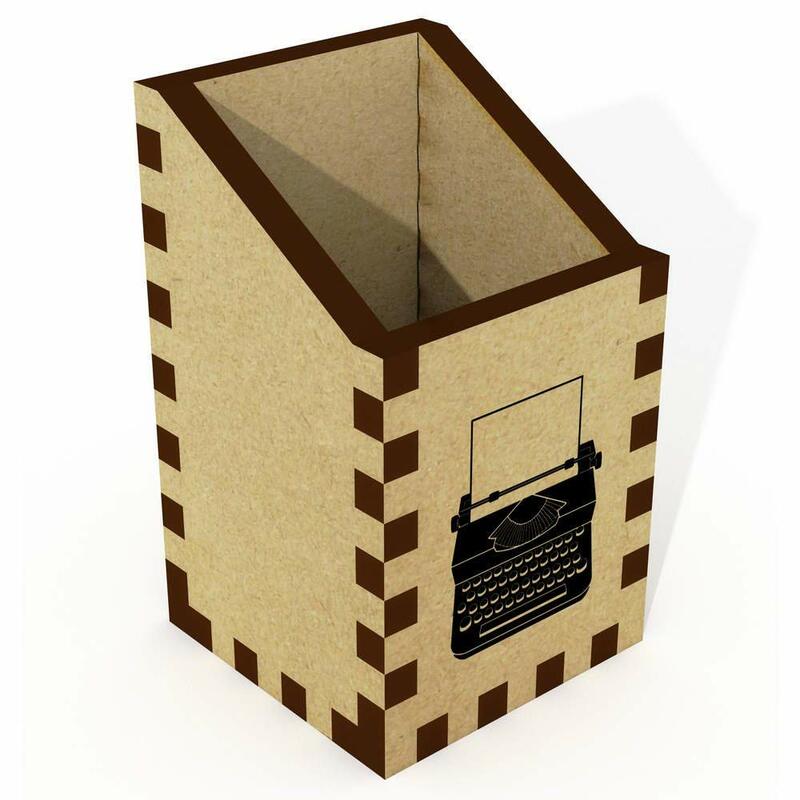 This is a solid wooden pen or pencil holder featuring a vintage typewriter design. The fron features the design and the back is wooden. It measures 5 inches long, 5 inches high and approximately 3 inches wide. There are three holes in the top to hold your items. 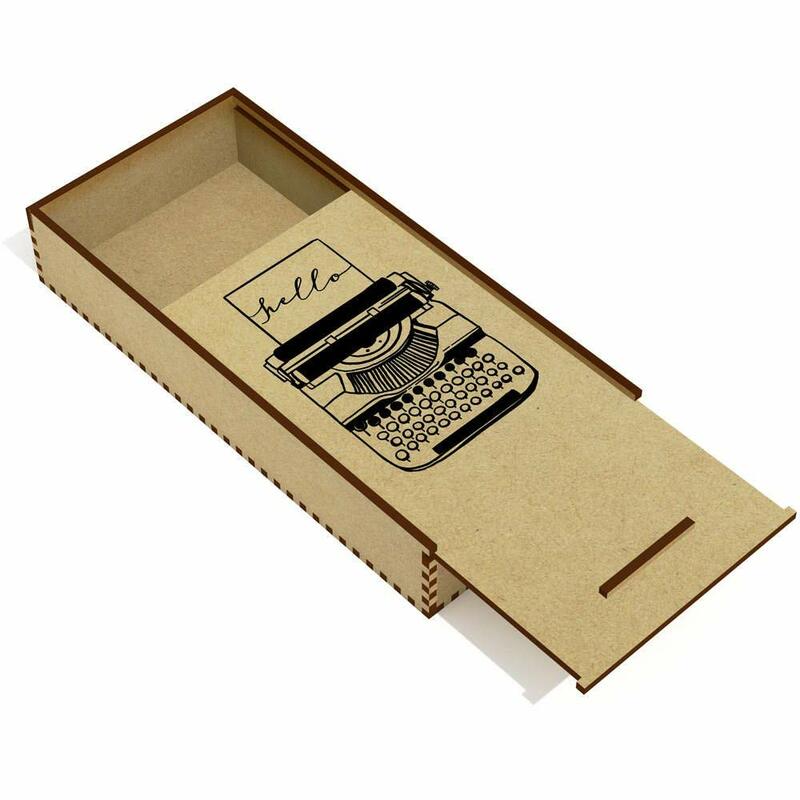 This slide top wooden pencil case will keep your favorite writing implements safe and dust free. A great idea for students who need to transport pens or pencils in a school bag. It will keep them safe from being damaged during transit. Looks good on your desk and fits neatly into a drawer. A beautiful wooden desk organiser with a mahogany finish. Perfect for holding your bits and pieces and it looks great in any professional, student or home office. 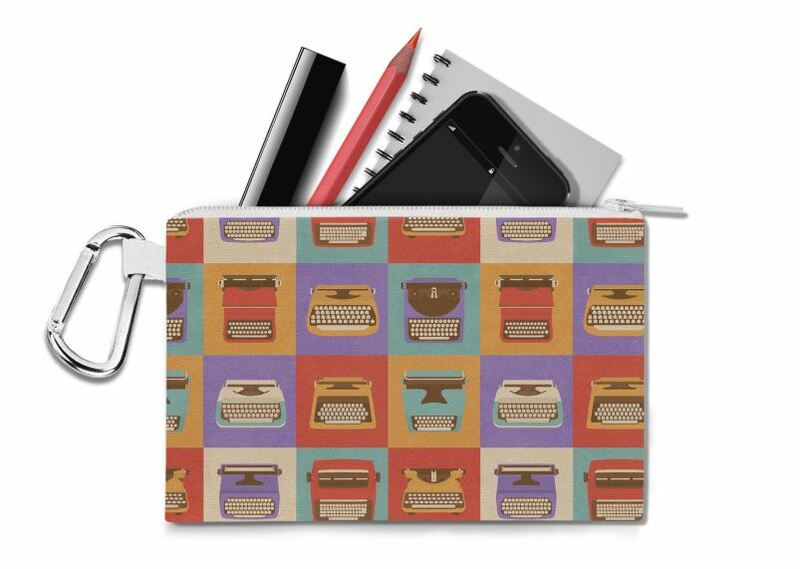 The design featured on this pencil holder features a blend of modern and vintage styles. You can choose from several background colors in order to ensure it suits your decor. This is a solid desk caddy that will last for a very long time. Many people like to use mugs to hold pencils and other office items. 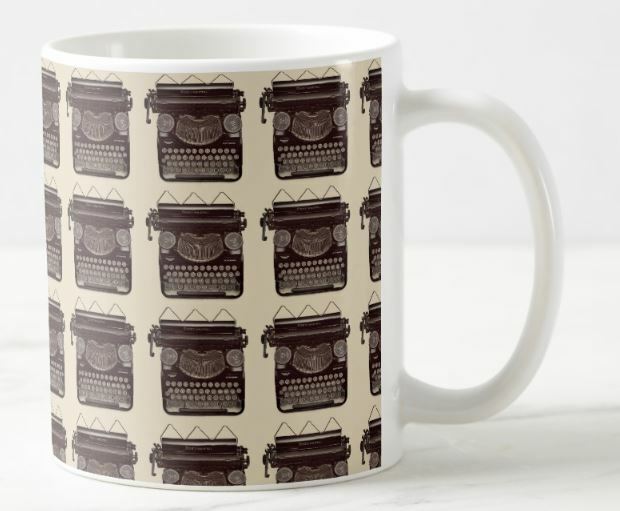 If this is you then this cool vintage typewriter collage mug may be right for you. Drink out of it, or store your pencils in it. If you have a lot of office stationery that you need to store on your desk two or more of these will look great together. A pencil case is perfect if you need to ensure that your writing implements are portable. This is a much better option than desktop pencil holder for school students.